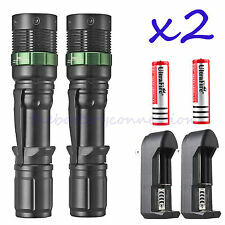 2 Set Cree Led Flashlight Rechargeable Zoom Tactical Torch Battery And Charger ! 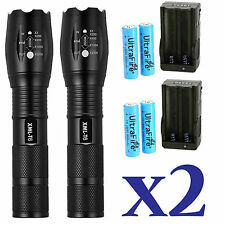 8 product ratings - 2 Set Cree Led Flashlight Rechargeable Zoom Tactical Torch Battery And Charger ! 2 PACK- GET 2 for the price of 1~! Nitecore Authorized Dealer. 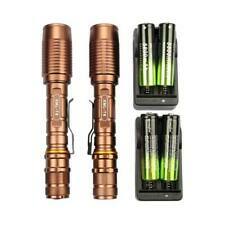 Full Nitecore warranty. This page was last updated: 25-Apr 19:56. Number of bids and bid amounts may be slightly out of date. See each listing for international shipping options and costs.